In the past few years, the USPS has been dedicated to improving every aspect of its shipping services. And shippers are taking notice. Today, with the help of Stamps.com, you’ll find a new USPS that can go toe-to-toe with any private carrier. The USPS has always been competitive on price. Now they’re taking it to another level by offering distance and weight-based rates and competitive pricing structures - Cubic-pricing, Regional Rate boxes, Flat Rate boxes and envelopes, high-volume discounts and custom rates. And of course, if you’re sending international, there’s no more affordable and convenient choice than the USPS. 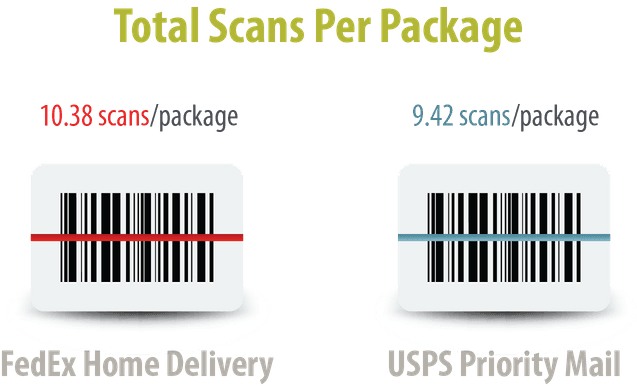 USPS offers the lowest rates for the most popular weights. 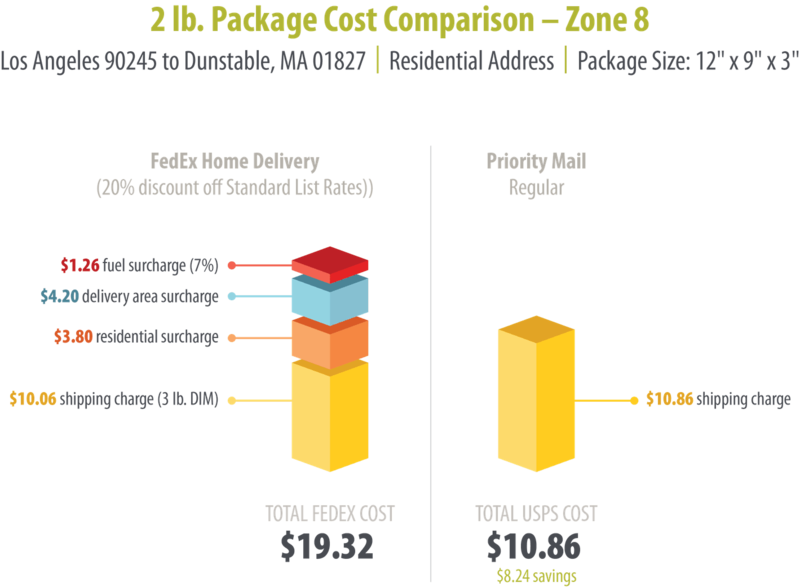 Starting in 2015, all UPS Ground and FedEx Ground delivery packages are subject to Dimensional (DIM) Weight pricing, which is based on package size instead of weight. To be competitive, you really can’t afford not to use USPS. The USPS has always believed in up-front pricing. The price you’re quoted is the price you get. No surcharges or hidden fees. No charges for residential delivery, Saturday delivery, rural delivery area or address correction. Did you know private carriers have as many as 60 different surcharges they can add on top of their base price? Surprise… you’re paying more than you have to. UPS and FedEx include residential surcharges up to $4.40 and fuel surcharges up to 7.25% to all Ground packages. Plus, there is a Delivery Area Surcharge if you live out of a metro area. 25% of US population lives inside a Delivery Area Surcharge zip. 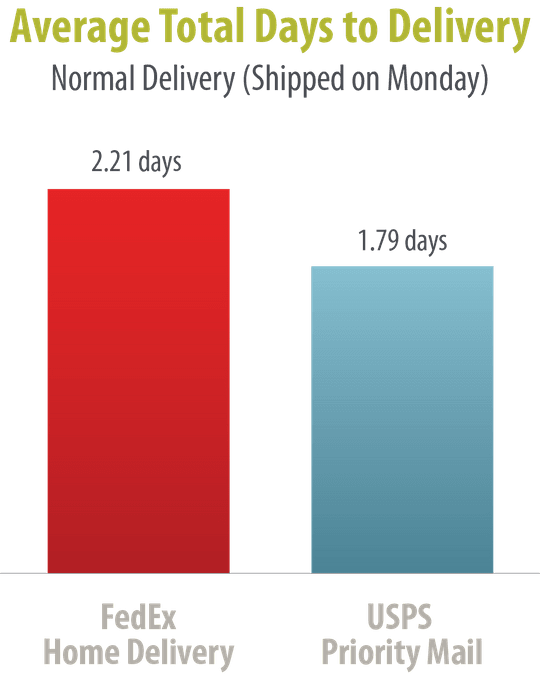 Why pay extra for slower delivery speeds? With USPS your packages get there fast. 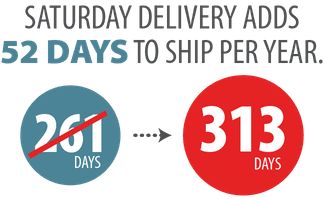 And faster delivery times (along with lower shipping costs) translates to happier customers and higher seller ratings. Whoever said the USPS is behind in tracking hasn’t shipped with the USPS lately. This year’s expansion in tracking gives you unprecedented visibility into the location of every shipment – from entry to final delivery. Free Package Pickup While UPS and FedEx charge for daily package pick up, your daily USPS mail carrier comes 6 days a week, free of charge. Priority Mail packages includes free insurance (up to $50 for Commercial Base pricing, up to $100 for Commercial Plus pricing). 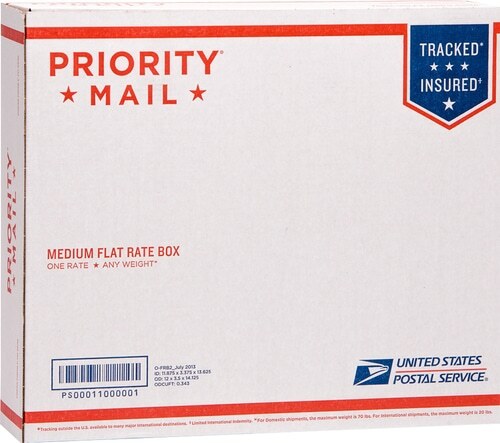 USPS is the only authorized carrier to ship to a PO Box or APO/FPO.